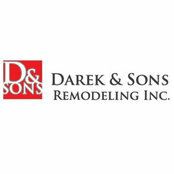 Darek and Sons Remodeling specializes in interior, residential home improvement. 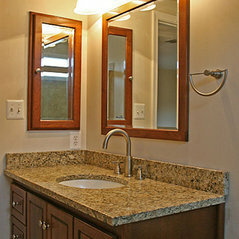 The majority of our business is bathroom remodeling and building additional bathrooms. That includes demolition of existing bath, repairing or replacing plumbing, properly insulating and water proofing, new electrical (20 Amp circuit), walls, tiling, fixture installation, painting, replacing a glass block with a nice window, etc. 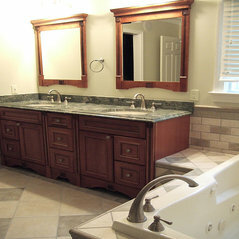 Finishing and remodeling basements is also very popular project with us. If you looking for an entertaining area, a bar, an extra bathroom, a playroom for the kids or an office, we can design something to exceed your expectations. 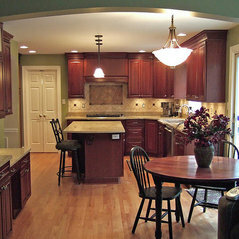 We also take great pride in our kitchen projects that are probably the most expensive and challenging tasks. 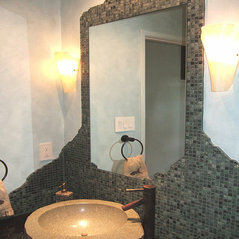 We offer huge selection of many cabinet, appliance, tile and fixture manufacturers. A customer has total freedom to choose any style and price range they wish. 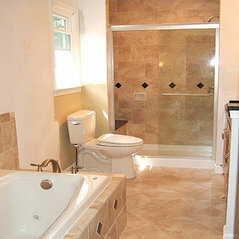 We also offer room additions, second story additions and wall demolition to enlarge existing rooms.